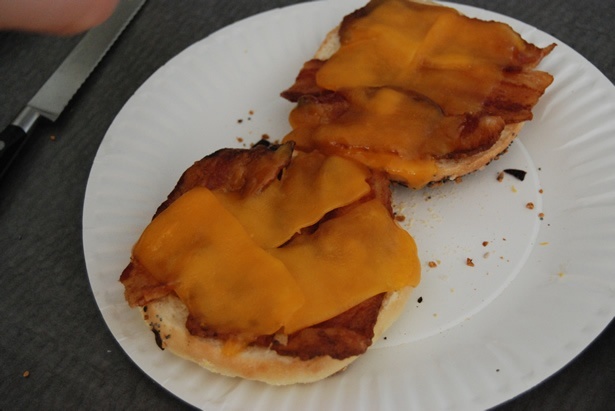 Living in Bermuda, I have cooked some things I would never make if I was living in the US. 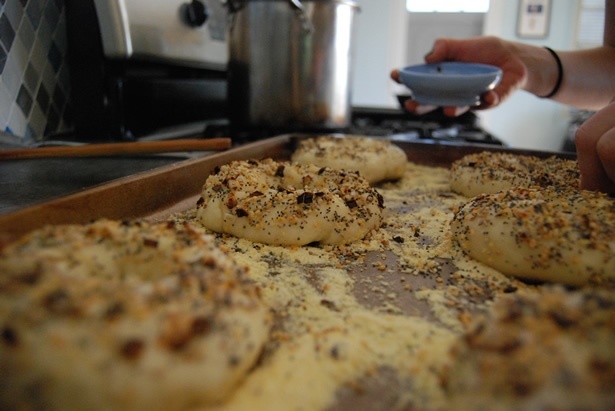 Homemade bagels are definitely one of them. 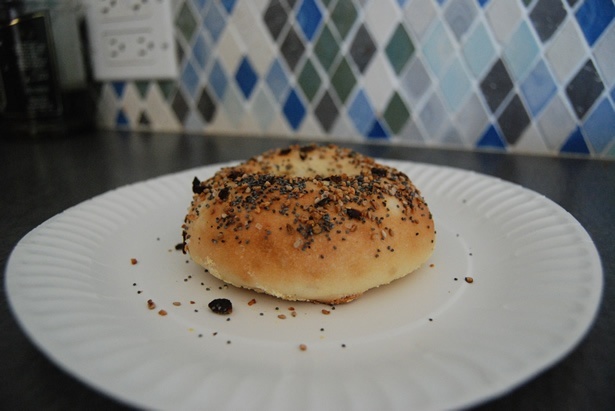 Why would I bother making bagels if I lived in a city that had great bagels on every corner? 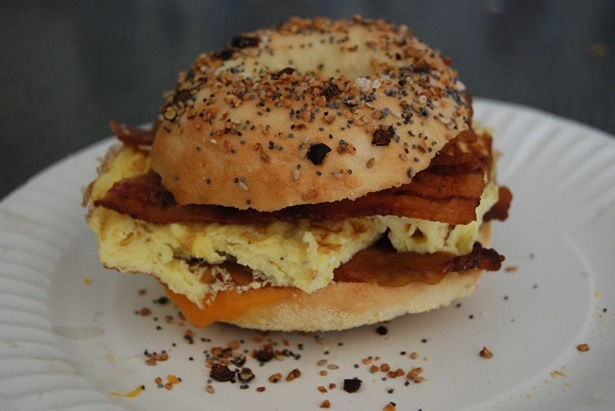 Here in Bermuda there aren't many bagel options and there is only one place that doesn't use frozen ones. I looked at a few recipes before making these for the first time. We were going to make the more complicated one (as we usually do) but after falling asleep on the couch a few times over the weekend we never did the night before prep work. We ended up going with an Emeril recipe on Sunday morning. 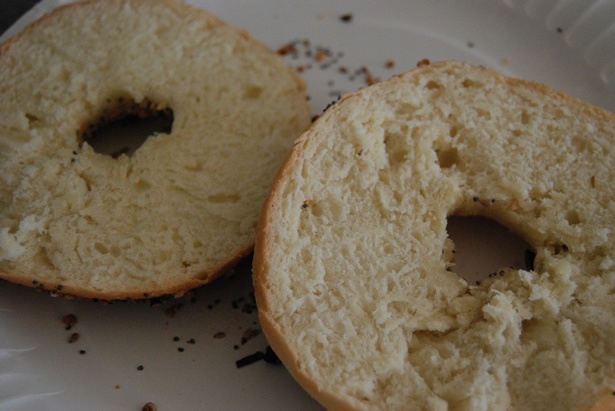 Despite using the quicker recipe, the bagels came out excellent. 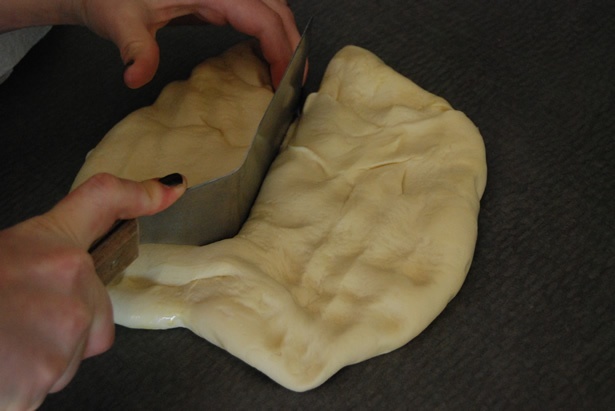 It was a very dense yet soft dough. We halfed the recipe to make 6 bagels. It's best to make a smooth ball and then poke a hole through it rather than rolling out a log and trying to connect it. 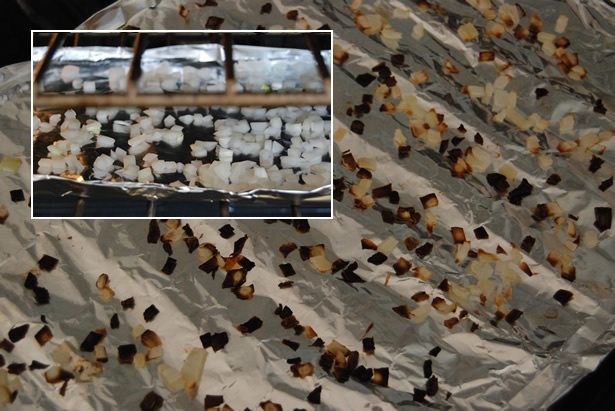 Making the onion topping. We like everything bagels. 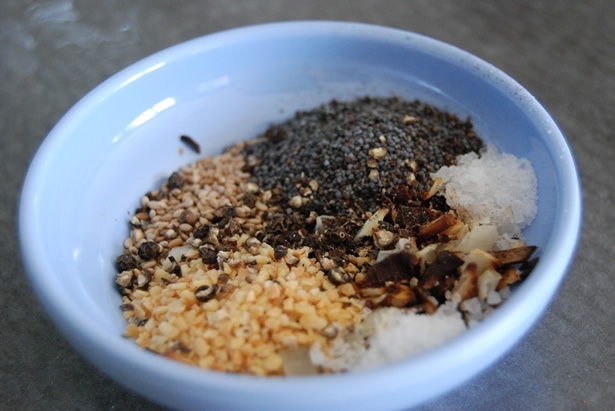 Salt and pepper added to the previous ingredients. 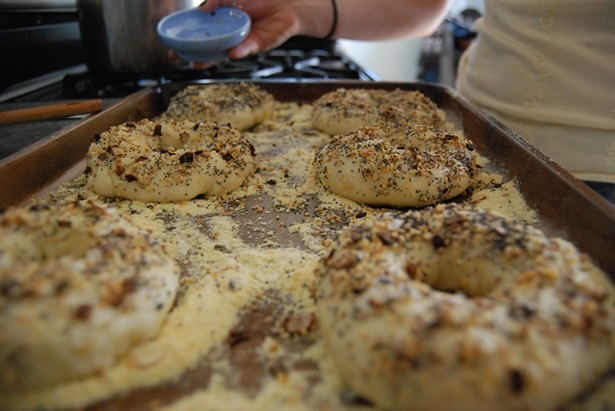 Just like pretzels, bagels are boiled before baking. Lots of cornmeal to prevent sticking. Yum. The interior was soft and chewey, the outside had some crunch. 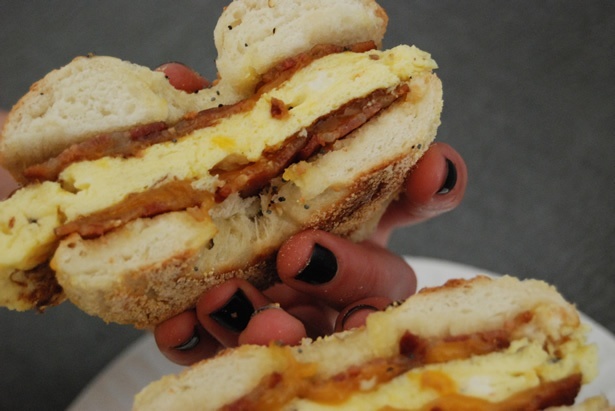 We decided to make what might have been the best egg sandwich of my life. Bagels The recipe we were hoping to try was here, but we ended up doing this easier one. Used brown sugar instead of white, and baked them for 23 minutes instead of 30-35. for the toppings, most came from spice jars. 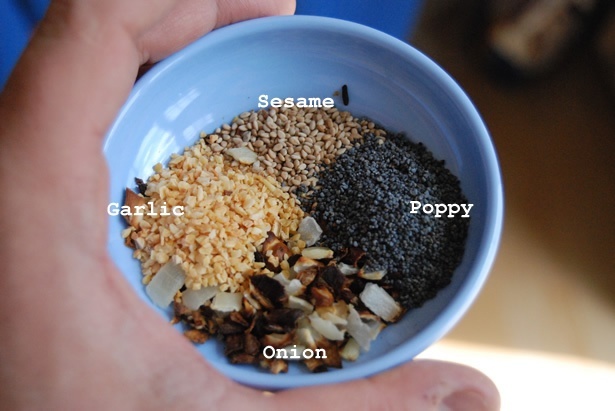 We toasted the sesame seeds for a minute. 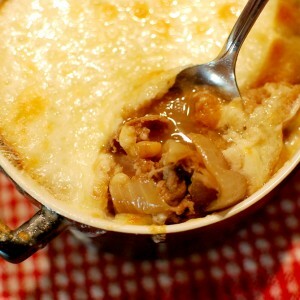 To make the onion topping, dice some onion, pat dry, and bake at 300 for 5 to 10 minutes. 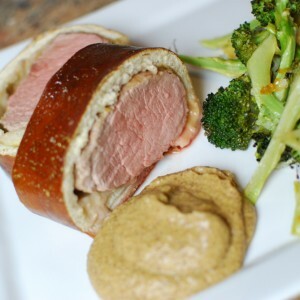 The easier Emeril recipe was really great, but if you have the time, I'm positive the other recipe is worth the extra effort. great!! 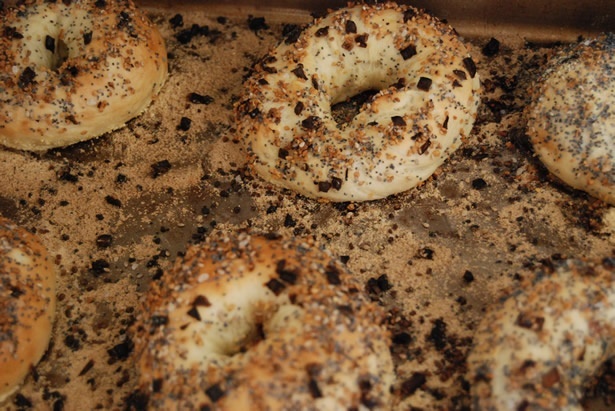 these actually look surprisingly good for homemade bagels! holy crap! that looks fan-freaking-tastic! Kudos, lady! These look amazing. 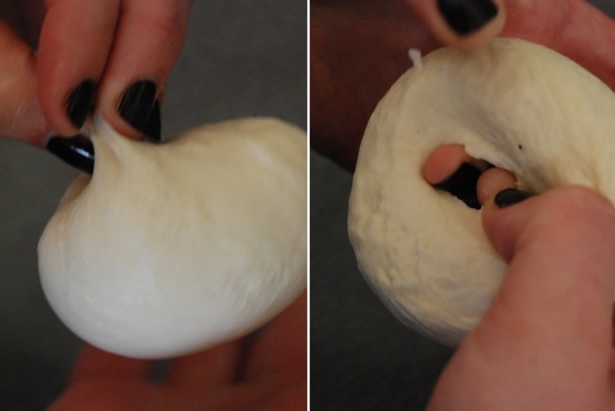 I didn’t realize make bagels was so easy. 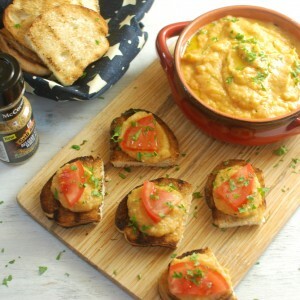 Can’t wait to make them, thanks for the delicious recipe. 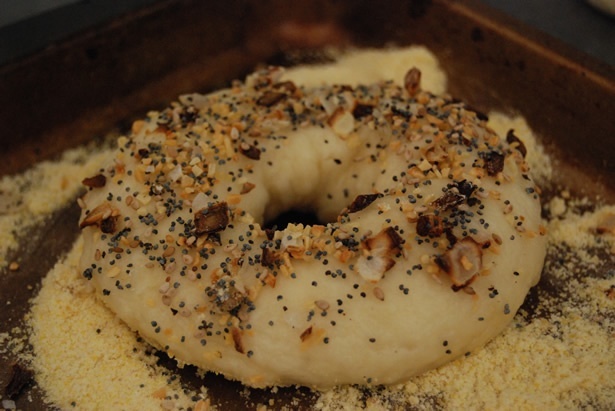 I am so going to try this being from NJ where good bagels are a given to moving to a city where they are far and few between. I can’t wait to try! Do these freeze well? 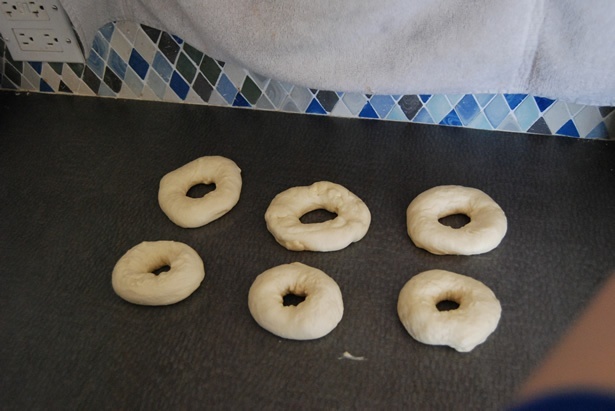 I have a similar, slightly downsized, recipe for bagels – it makes 16 mini-bagels (or 10 regular-size.) 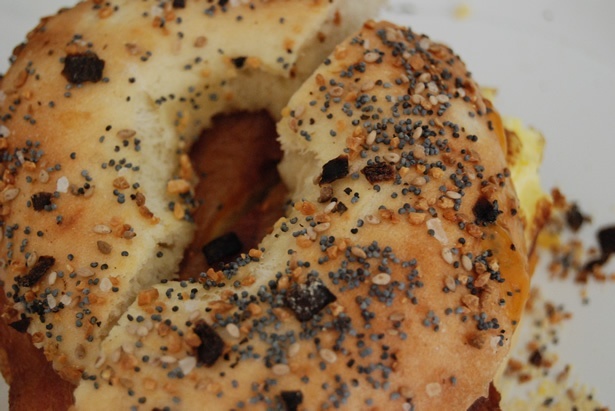 They are the best bagels I’d ever tasted since the bagel bakery in my hometown shut down. I can’t imagine that all the fuss of the other, longer recipes is really worth it. 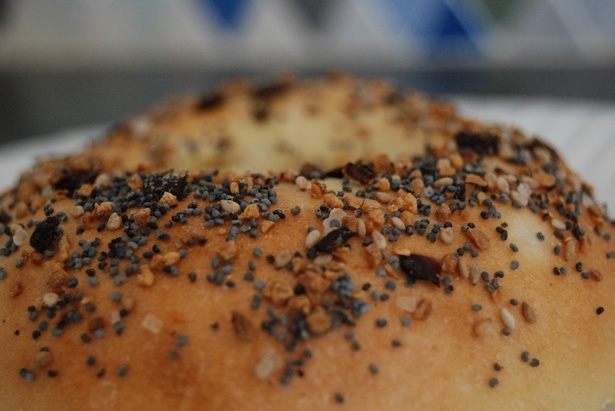 To the Mom with the one-year-old – the bagels are really easy, it’s more of a waiting game. 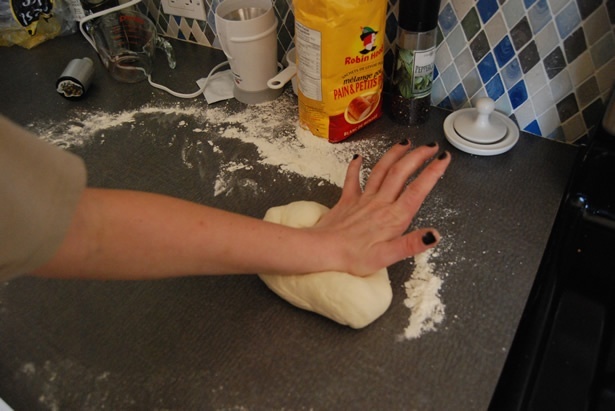 Your baby can play with the dough when it’s time to shape (it’s pretty safe to eat raw, just watch for choking) The active cooking time is really only about 15-20 minutes, in short bursts over the whole recipe. The only time you’ll need someone to fade you some childcare is about 5-10 minutes while you’re boiling them – that is something I wouldn’t do with a baby at my ankles. 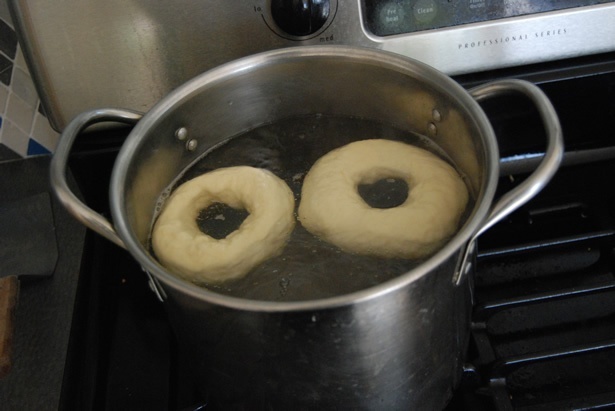 Great pictorial display of creating bagels! The look very scrumptious. These bagels look great. Just from the pictures alone they look like something you’d buy at a mainstream cafe. I’d also like to know if these freeze well too, seems like it would be wise to have a bagel day and make a few dozen in one go. These look and sound delicious !!!! 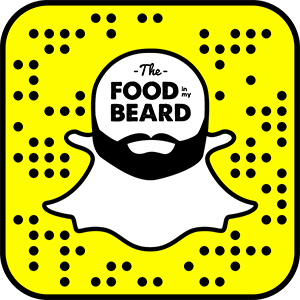 Do you have a gluten-free version? I have a bread mix that I use to make bread that I love. I don’t think that it is stiff enough to make bagels. Any suggestions? That’s usually what I get if I’m at a bagel shop. That looks delish. Never attempted bagels before. I’m going to have to try this. Great, but need a very lot time for do it. I have never been into bagels but these bagel make me want to get into them. They look really delicious! I’ve just had dinner and my mouth is watering!